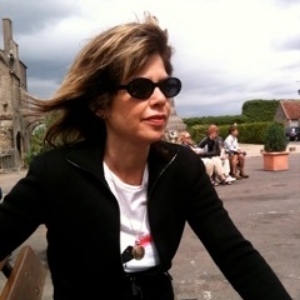 Emily Apter is Professor of French and Comparative Literature at New York University. Her books include: Against World Literature: On The Politics of Untranslatability (2013), Dictionary of Untranslatables: A Philosophical Lexicon (co-edited with Barbara Cassin, Jacques Lezra and Michael Wood) (2014); The Translation Zone: A New Comparative Literature (2006), Continental Drift: From National Characters to Virtual Subjects (1999), Fetishism as Cultural Discourse, (co-edited with William Pietz in 1993), Feminizing the Fetish: Psychoanalysis and Narrative Obsession in Turn-of-the-Century France (1991), and André Gide and the Codes of Homotextuality (1987). Articles have appeared in Third Text, boundary 2, New Literary History, Littérature, Artforum, Critical Inquiry, October, Translation Studies, PMLA, Cabinet, Romanic Review, The Global South, Comparative Literary Studies, Grey Room, The Boston Review, SITES, Angelaki, American Literary History, Parallax, Modern Language Notes, Esprit Créateur, Critique, differences and Public Culture. Since 1998 she has edited the book series, Translation/Transnation for Princeton University Press. She is completing a book, "Politics small p:" Essays on the Society of Calculation. Recent articles include "Occupy Derivatives!" in October, "Planetary Dysphoria" in Third Text, "Philosophizing World Literature" in SITES, "O seminar!" in Cabinet, "Women's Time (Again)" in differences, and "Philosophical Translation" (in MLA's Profession). In fall 2014 she was a Humanities Council Fellow at Princeton University. In 2011 she was awarded a two-year Mellon Grant (with Jacques Lezra) for a seminar on "The Problem of Translation" and in 2012 she was appointed Remarque-Ecole Normale Supérieure Visiting Professor in Paris. In 2003-2004 she was a Guggenheim recipient. A French translation of The Translation Zone: A New Comparative Literature will be published in May 2014 by Fayard in the series "Ouvertures" edited by Barbara Cassin and Alain Badiou. Together with Bruno Bosteels she prefaced a translation of Alain Badiou's writings on literature and politics, The Age of the Poets and Other Writings on Poetry and Prose (Verso 2014).